Start With Why has led millions of readers to rethink everything they do - in their personal lives, their careers and their organizations. Now Find Your Why picks up where Start With Why left off. 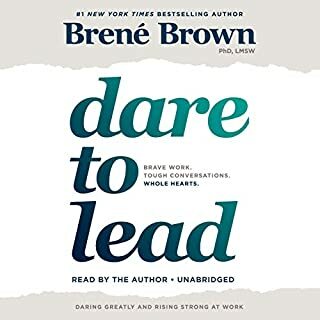 It shows you how to apply Simon Sinek’s powerful insights so that you can find more inspiration at work - and in turn inspire those around you. I believe fulfillment is a right and not a privilege. We are all entitled to wake up in the morning inspired to go to work, feel safe when we’re there, and return home fulfilled at the end of the day. Achieving that fulfillment starts with understanding exactly WHY we do what we do. What if my WHY sounds just like my competitors? 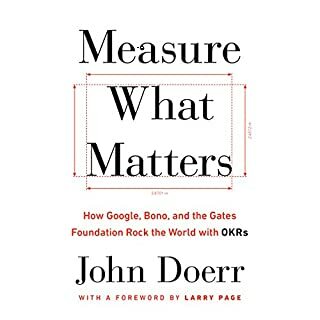 If my work doesn’t match my WHY, what should I do? What if my team can’t agree on our WHY? I loved listening to the voice of Simon Sinek. His voice is melodic and inspires action. 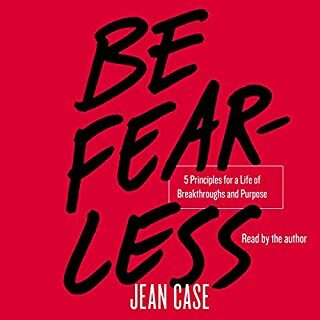 I purchased the audiobook first followed by the physical one after to do the exercises. For me, hearing Simon speak, sharing in his powerful storytelling helped me understand the importance of the why process. Seeing the examples guided in the work required to find my why. I now work with my own clients to assist them in discovering theirs too. 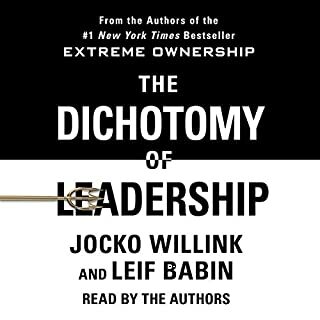 I recommend purchasing both the audiobook and the physical book if you wish to do the powerful exercises. I found reading and highlighting is useful. I used the combo to deepen my study of the work. I don't recommend this as an audio book. Need a partner, workbook style partner activities. 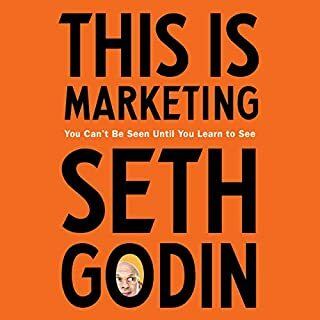 Good info and a great follow up to Start With Why, but is probably more useful as a physical book, as it’s more of a workbook than something that has a narrative. 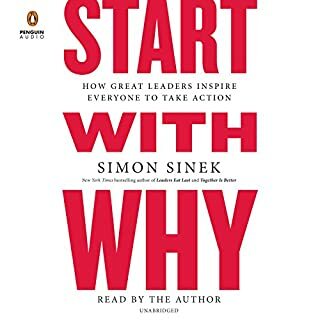 Excellent follow-up to "Start With Why"
This is a great instructional book to guide you in finding your own WHY or that of a team or organization. this book wants to incorporate another person... no thanks. and not a fan of the readers flow. Couldnt finish. Simon should narrate this book. Couldnt finish. Simon should narrate this book. Did such a good job narrating his first book it changed my life, he should narrate this one as well. He is much more captivating and sounds way more passionate. I really enjoy the premise of this book, and it's theories! #Audible1 Not a bad resource for team and personal building techniques. 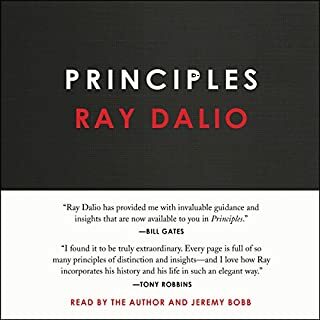 This was a great book but not a good audio book. Imagine someone reading you a workbook, that’s what this is. 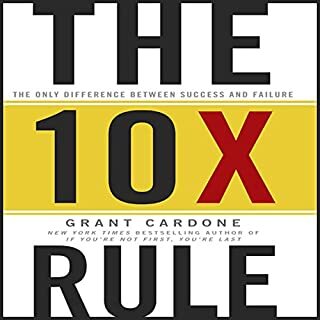 Skip the audiobook and get the real book! It takescourage to lay the 'How' on the table for the world to pick apart. A lesser team would have been thwarted by the challenge of deconstructing and communicating a very human journey into a roadmap that can help guide so many of us. 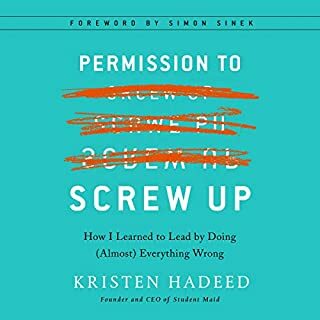 For me, the timing of this book was critical. As I read, it became clear that my difficulty in leaping into the unknown of my 'why' was because I couldn't see the 'how' ahead of me. Find Your Why gave me the confidence to clearly speak about the things I already knew and believed in, but handed quite figured out how to apply in a business environment. If you already know that your 'Why' is helping others discover theirs, this book will give you the words you need to inspire them to start looking and the tools you need to help them discover it. Thank you to the SWW team for having the courage lead and leap first. While the book specifically states you must have a partner to complete the individual Why Discover Process, I attest I was able to best articulate my WHY more precisely and succinctly than ever before. This book is a turn by turn recipe book for facilitating or undergoing a Why Discovery. 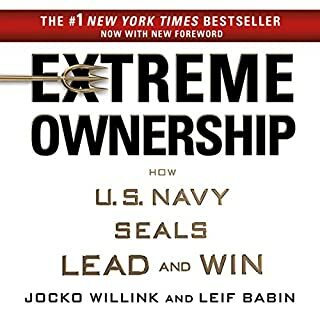 Read Start with Why first and this book will make complete sense and you will want to lead yourself or team through the discovery. Reads more like a manual for conducting a seminar. 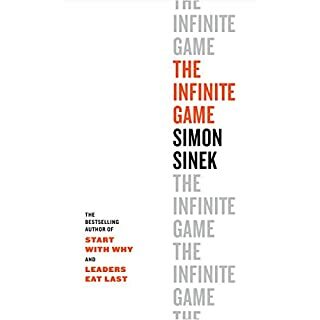 Big fan of Simon Sinek, but this book did not hit the mark compared to his previous works. Nothing new here. The same old advice but repackaged for group activities. I usually like Sinek, but he barely speaks in this one. The book is extremely short for the cost. Additionally, a chunk of it is a rehash of "Start with why." 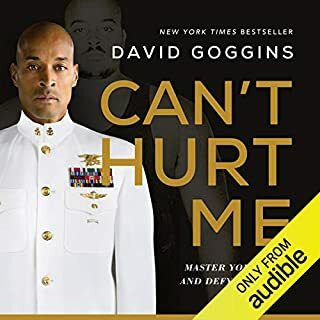 I spent a couple hours with this audio book and tried to make sense of the content even going back over a couple chapters a couple times trying to grasp what the author was trying to convey and just couldn’t get there. I found that it fumbled through explaining the very basic concepts of what they are trying to convey and then offered no real world tactics other than very basic how to ask open ended questions to get to what is important to the person. You could get this information in better and clearer context in other books. To be fair the narrator was decent and didn’t mind their pace and tone but would not describe as enthusiastic. I am also fully willing to admit that maybe I am not intelligent enough to grasp the content in the book but I dont think that is the case. I purchased off of the reviews which almost all seemed positive but I fear there might be some playing with reviews and numbers to boost sales of certain books. Just a theory on my part. 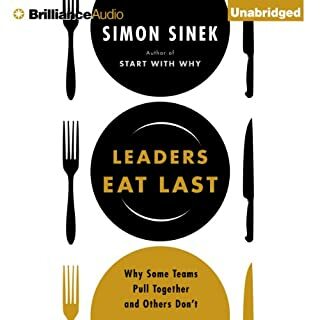 As a Simin Sinek fan, I was excited to listen to this book. There are several sections that required some introspective thought and interaction in order to gain the most value. 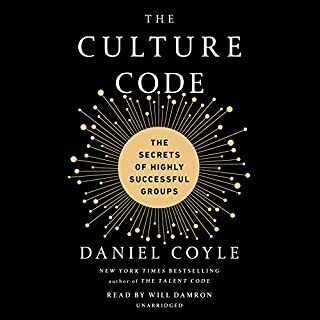 With or without the print copy, it is still a worthwhile listen but to complete the practices there is value in having the accompanying print addition. 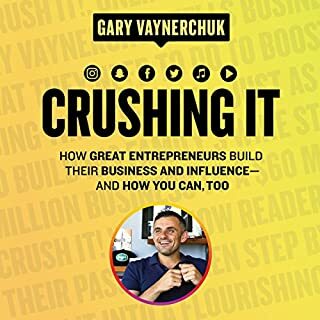 For this book to be successful you need to have a partner, in which case getting the audible version doesn’t make much sense. I also found it very repetitive with start with why? I also think there are better books out there to find your passion or reason for what you do in this world. Code to joy would be one of them. 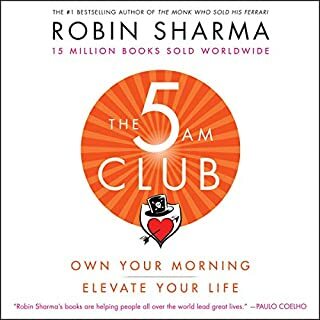 Perhaps I gave the story 4 stars because it's a bit unconventional for me; it is very much a guide self-help book, though one should think so because of its title. 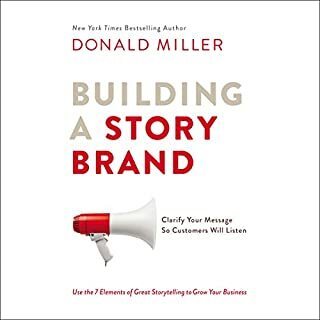 I still believe it receives an overall 5 stars because there's a fair amount of story-filled, real experience content and quality lessons to be taken from this publication. 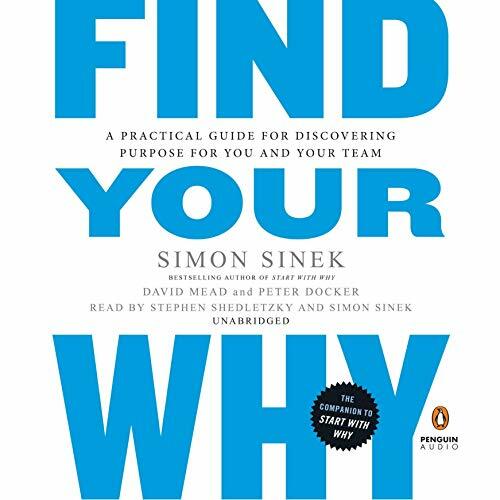 I do recommend going through Simon Sinek's Start With Why before getting to this book for a greater experience. 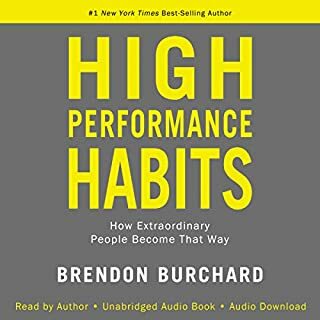 You'd be fine reading/listening to this on its own, but Start With Why is truly transformative!